After taking the dog for a walk in the crisp cool autumn air I sat down and browsed through my recipes trying to decide which one would be on the menu today…what says Fall better than an Old Fashioned Pot Roast? I remember my Mom-Mom used to make one – she cooked it for so long that the beef became tough but the gravy was so delicious…I’ve tweaked her original recipe just a bit over the years; adding more flavor, cooking the beef to tender perfection and still enjoying the delicious gravy! Season the chuck roast with the salt, marjoram, thyme, basil, parsley and pepper. In a large deep pot or skillet heat the olive oil. Dust one side of the chuck roast with half of the flour. Place into skillet. Dust the remaining flour over the top of the roast. Brown on both sides (2-4 minutes each side). Add the butter, one chopped onion and the garlic cloves to the skillet. Pour 1 cup beef broth into skillet. Bring to a boil; reduce heat to low and simmer two hours. Add the remaining onions, the chopped potatoes and carrots along with the second cup of beef broth. Bring to a boil; reduce heat to low and simmer 1-1 1/2 hours until beef and vegetables are tender. Remove the roast. In a container, whisk together 1/4 cup flour with 1/2 cup cold water and 1/2 teaspoon salt. Pour into the skillet. Bring to a boil; reduce heat and simmer until thickened. Meanwhile, shred the beef. Place some shredded beef into bowls and spoon on some veggies and gravy. Delicious! This recipe has been shared on Senior Salon, Throwback Thursday, Funtastic Friday, Foodie FriDIY, Saucy Saturdays and the Family Joy Blog Party…check it out and then go visit some other great sites! Do you know I’ve never made a pot roast? I need to fix this! This is my mother’s recipe from 60 years ago. I could never quite get the same taste as she was able to do. Use Kosher Beef. Thanks for sharing at the Family Joy Blog Link Party this week! Looks like a great recipe and very appropriate for the cooler fall weather! Love a good pot roast! I love how comforting pot roast is. This looks delicious and so inviting Linda! 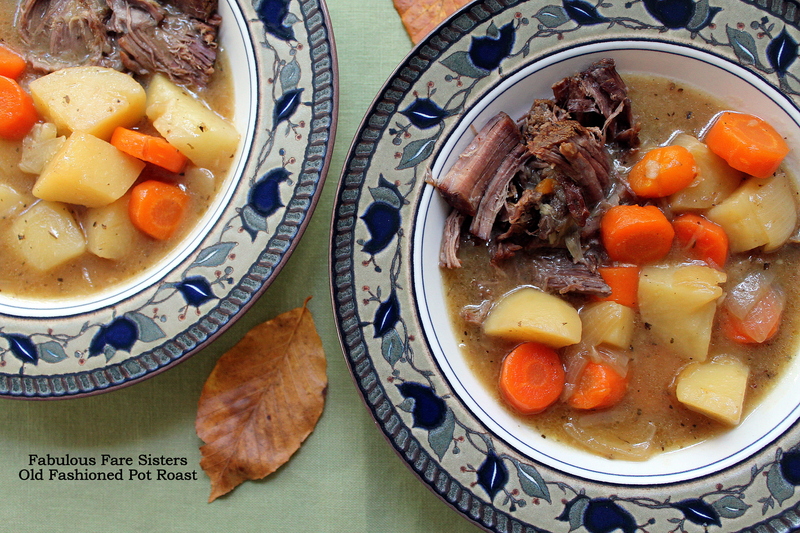 Pot roast is one of my go-to meals in the fall, yay! 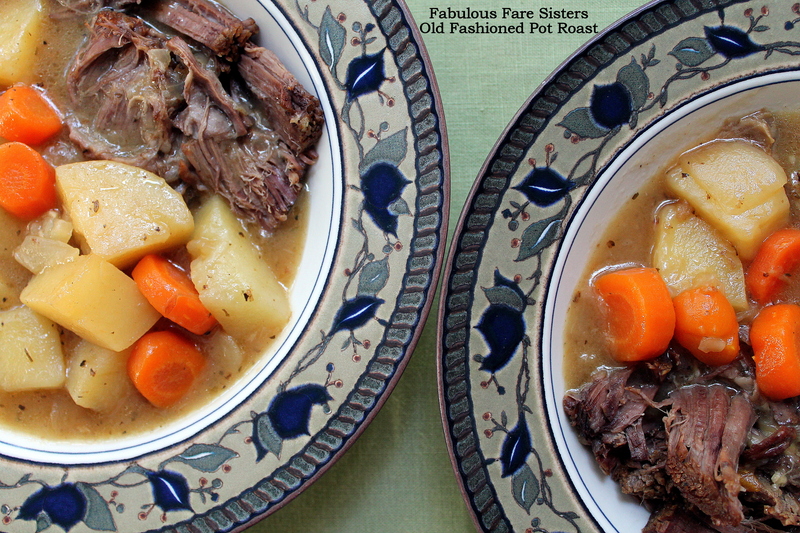 Ahhh I just love a pot roast, and it really is the perfect food for Autumn, yum!! If this isn’t Fall comfort food, I don’t know what is. Ugh don’t remind me Lindaaaaa!! !